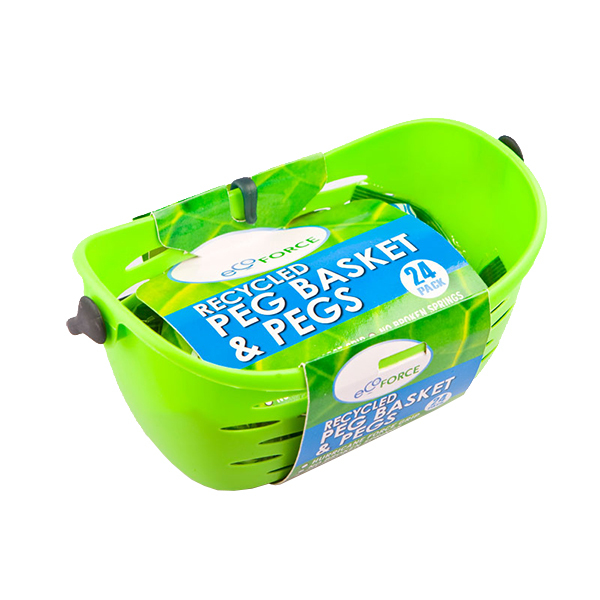 EcoForce Peg Basket and 24 Pegs are design and made in the UK from 93% recycled plastic and are also 100% recyclable. 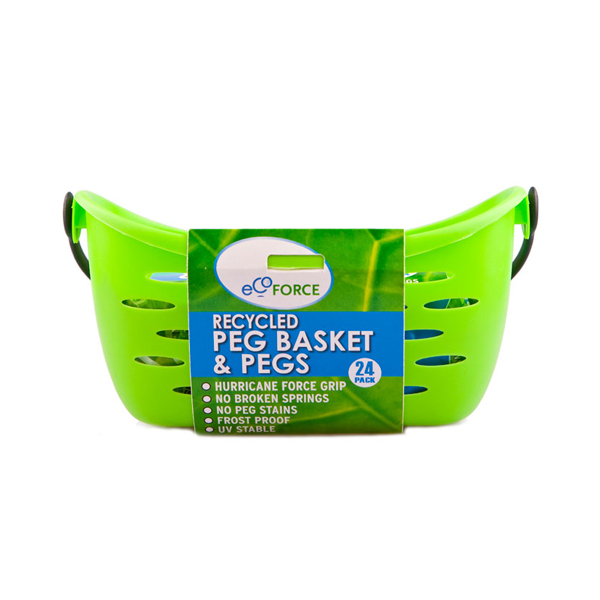 The EcoForce Peg Basket can hold up to 72 Ecoforce Recycled Plastic Clothes Pegs. 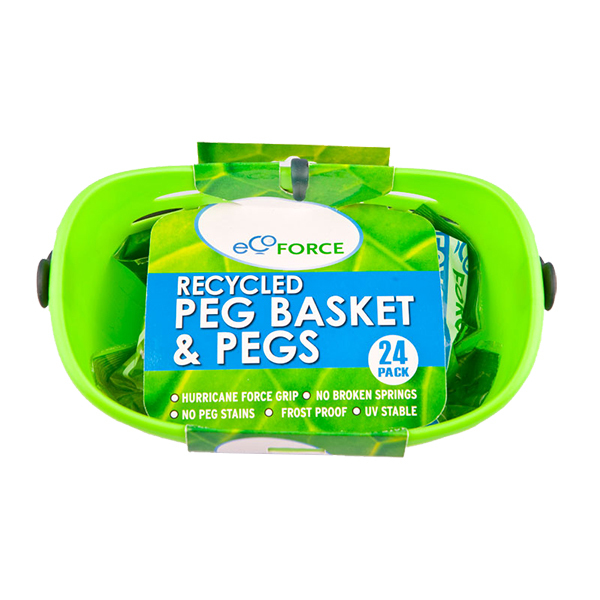 EcoForce Recycled Plastic Clothes Pegs are UV stable and are 100% metal free which means there are no broken springs and no peg stains. The clever design of the pegs means that they have 100% more grip than a standard peg. 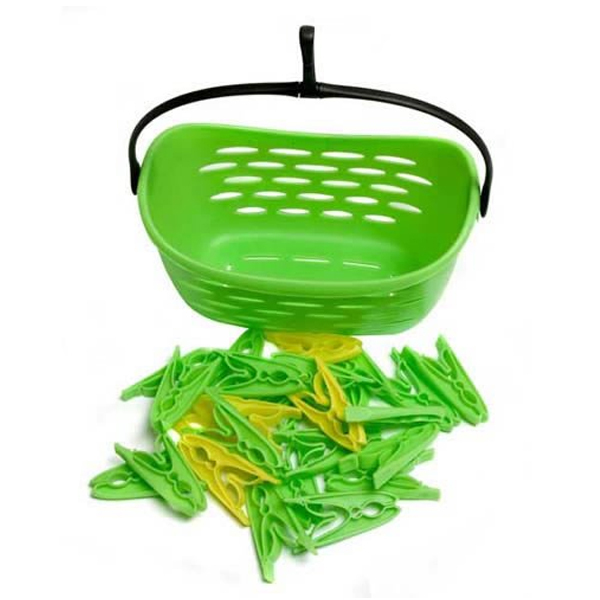 The EcoForce Recycled Clothes Pegs can be washed in the dishwasher or washing machine. 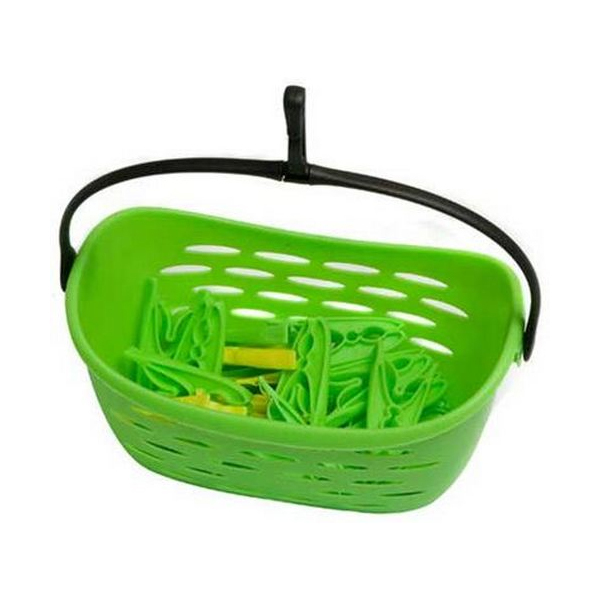 Each basket and pegs made from recycled plastic and environmentally-friendly materials. The EcoForce Recycled Clothes Pegs are UV stable, 100% metal free and can be washed in the dishwasher or washing machine.